Gael García Bernal returns as star conductor Rodrigo in “Mozart in the Jungle’s” fourth season, out Friday, February 2. García Bernal talked to Business Insider about fraught relationships between artists, the interplay of tech and art, and what he’ll miss most about playing Rodrigo. 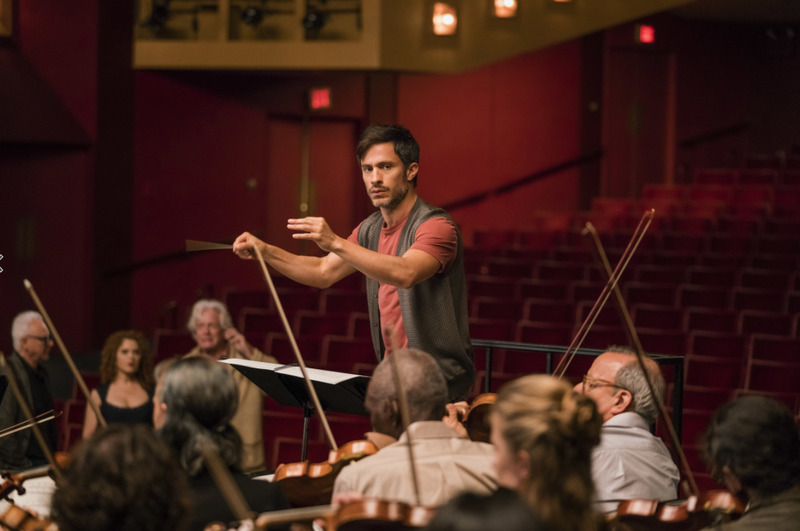 But playing the quirky superstar conductor Rodrigo on Amazon’s “Mozart in the Jungle,” for four seasons and counting, is a role that will stick with him. 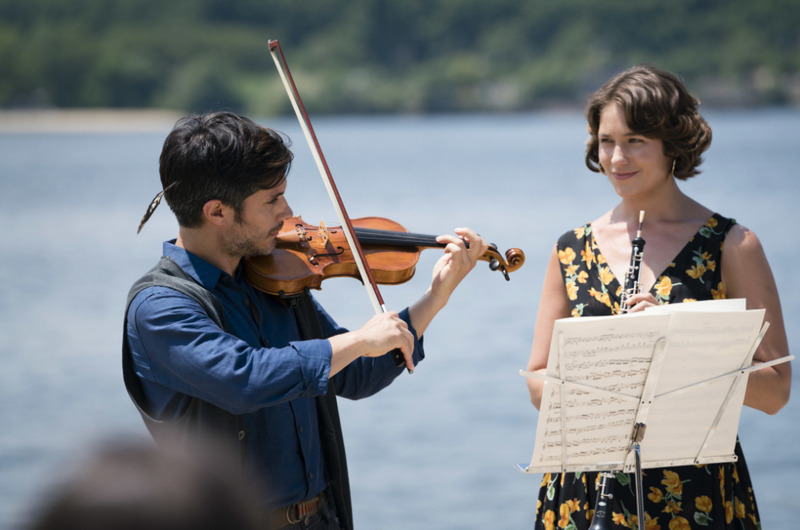 That’s not just because he’s played it for so long, but because as a character, Rodrigo lets García Bernal explore an alternate life he might have enjoyed, he told Business Insider in a recent interview. Nathan McAlone: Your character has an interesting relationship to a robot this season [no spoilers]. How do you personally feel about technology and art, and the interplay between them? Gael García Bernal: It’s like recently, the machine that finally won Go [the strategy board game, beating the best human player]. The interesting thing about this is that we always count now on our asset [as humans] that we can make mistakes. Those mistakes are sometimes incredible accidents. That’s something apparently robots don’t do as well. Maybe that’s needed for music to exist in a way, to be vibrant, to be alive, to be warm, to lead you to places. It is interesting to entertain the idea if it’s possible [for a robot to make, or help make music]. Because also music is mathematical. You can transcribe it into mathematics. You would expect it to be quantifiable. I don’t know. For example, biology used to be a descriptive science, and now it’s a quantifiable science. You need a computer to sequence DNA, and those kinds of things. Was that good? Yeah, it was good because now we can understand how mathematics goes deep into something really small, or really big. If that can be translated into music in particular, I don’t know. I have no idea. In a way I hope it can. McAlone: In this season, there’s the idea of relationships between artists, and what each person needs at what point, and how that interacts with career aspirations, and your journey as an artist. Did any element of that resonate with you in your life? García Bernal: It’s difficult to talk about the relationship aspect of people who do the same thing. Is it expected that there will be a natural competition? Yeah, maybe. Will it be positive or negative competition, you never know. On the book, maybe it’s not good. Maybe some people know how to deal with it. It’s complicated. There’s no right or wrong. But it’s also part of any journey with a couple – you live with things, struggles, this and that. If there is no struggle, you invent one. McAlone: What aspect of your character was most challenging for you as an actor? García Bernal: Definitely it’s very challenging to stand in front of a group of musicians and play. It’s really daunting. McAlone: Did that get easier [as the seasons progressed]? García Bernal: Yes, easier, but not in the sense that I know how to. Now I have no problem making a fool of myself. I don’t care that much. McAlone: It’s a very playful show generally. García Bernal: Yeah, and you reach a certain proximity and understanding with music. McAlone: What’s your personal relationship with music? García Bernal: I’ve always listened to music, of course. I’ve always admired symphonic, classical music, but I was never as close as I am now to that type of music. I engage with it, play with it, I’ve incorporated it into my life. I listen to that music every day. McAlone: How did the “play with the blood” [one of Rodrigo’s catch phrases] come about? García Bernal: I think it was an improvisation actually. I was looking for a word of … play with “passion” would be too lame. Come on, play with ‘blood,’ play with more … Play with the pancreas. A bit more crazy. And then it just stayed. Like many things Rodrigo now does. Like Hailey [played by Lola Kirke], calling her “Hai-lai” was a mistake, and we just stuck with it. McAlone: How did that happen? García Bernal: Well, it was Rodrigo not being able to say certain names. And now every person he meets he changes the name. I like playing with that. Now it became him. 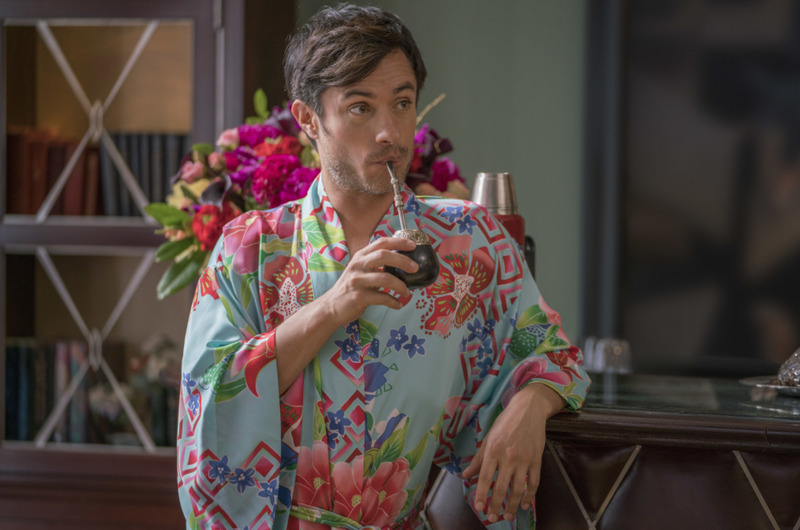 McAlone: What will you miss most about Rodrigo when the show eventually ends, about inhabiting him? García Bernal: The proximity to music. Rodrigo is also a vessel for me. As actors you get a chance to live different lives. But sometimes you get a chance to live lives you wish you did. And this one, with Rodrigo. It is now after experiencing him [I realise] he is a kind of person that I would have liked to be. And I’m very happy that I’m able to be that person, now and then. His craziness. His impunity. The way he manages to go through the world and think about music, and doesn’t really incorporate all the other noise that comes into life. The craziness of it all. I miss that even when we are not doing the season.